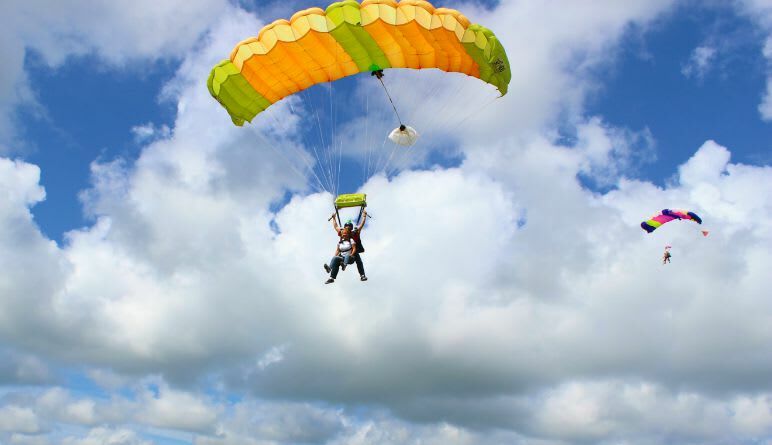 The fastest way to reach 120MPH is to go skydiving in Lake Wales! 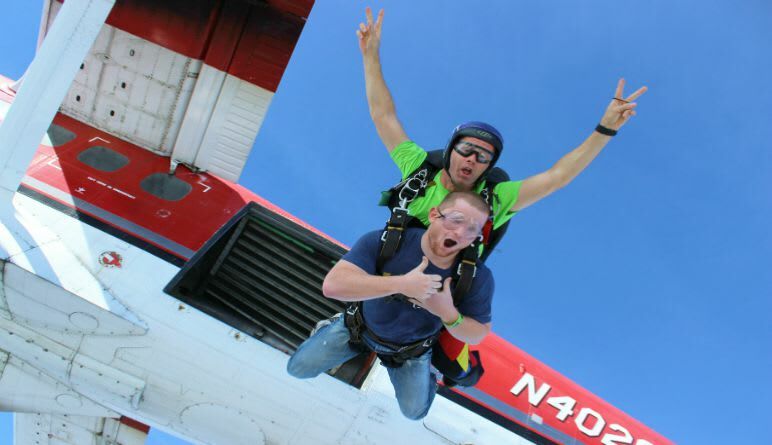 Book your skydive today! 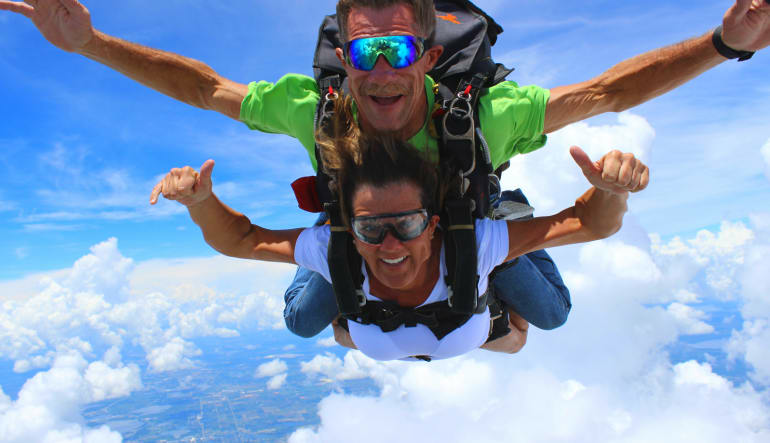 The fastest way to reach 120MPH is to go skydiving in Lake Wales! Live the most exhilarating experience of your life. 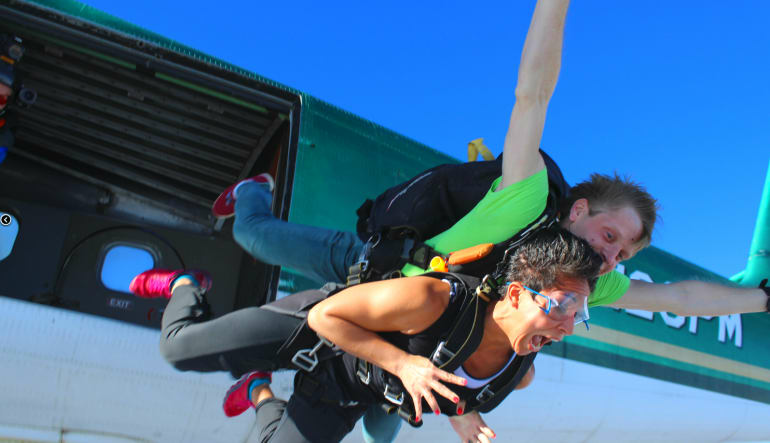 Suit up with your tandem instructor and enjoy a 14,000ft skydive near Orlando, Florida. Following a short ground briefing with your tandem instructor, you will board an awesome aircraft to climb to altitude. Once you reach the breathtaking altitude at 14,000ft, you’ll make the jump. Securely harnessed to your instructor, the first sensation you will experience is the sheer awesomeness of reaching terminal velocity. The best part? You will freefall for a full 60 seconds! At approximately 5,500ft, you will pull your chute and slow down your speed. The parachute will slowly guide you back down to the dropzone. Lake Wales abounds in natural beauty and you’ll be at the perfect height to take it all in. 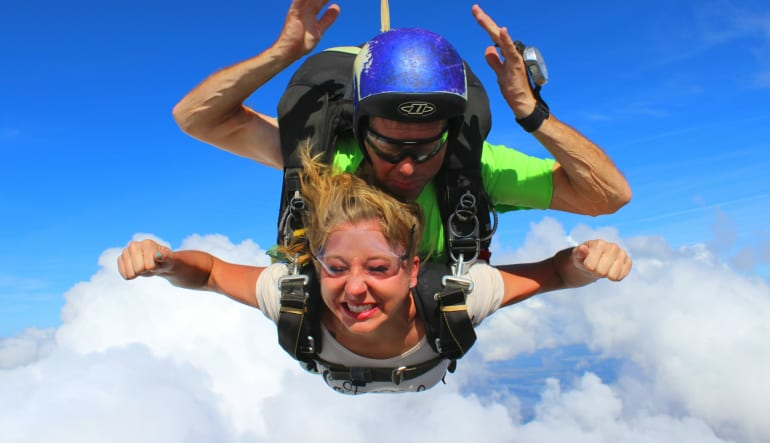 Book a skydive in Lake Wales today! Lake Wales staff were great! It was a great, thrill seeking adventure and are planning to visit them again very soon for a 18,000 ft jump! Awesome service with awesome crew! Love my adventure with you guys! Keep up the great work! It was an amazing experience with my daughters. The staff and overall experience could not have been better. I took my first dive with Brain at Lake Wales.... maaan he is such a great guy, really professional, fun and an all around great guy. witch helped me a lot when i got up there. I felt 100% safe jumping out of that airplane. 10/10 would recommend.